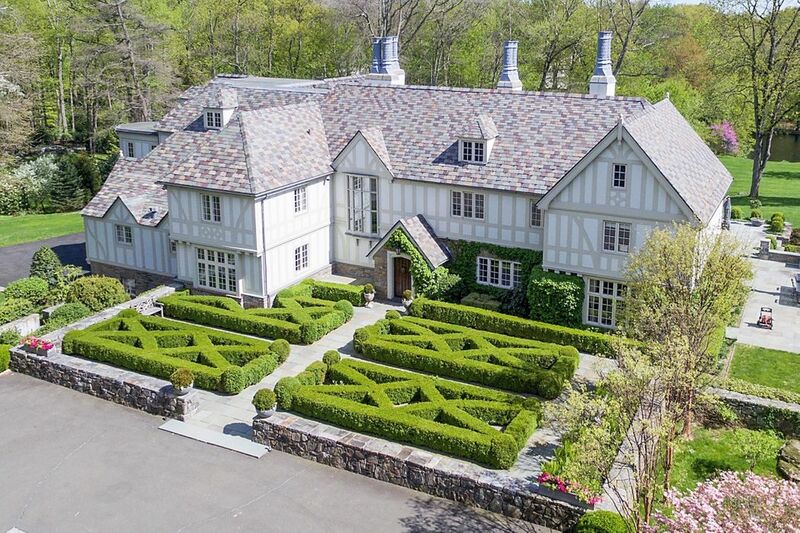 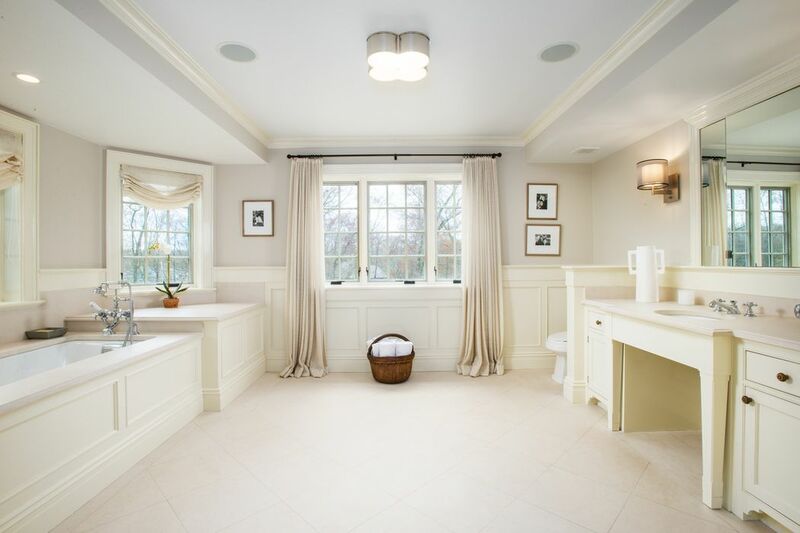 32 Vineyard Lane, Greenwich, CT 06831 | Sotheby's International Realty, Inc.
$9,750,000 6 Bedrooms8 Full / 3 Partial Baths12,078 sq. 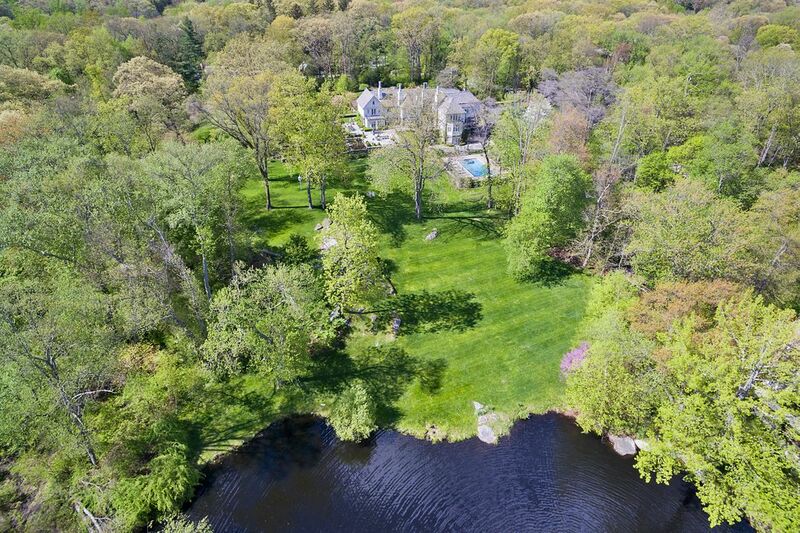 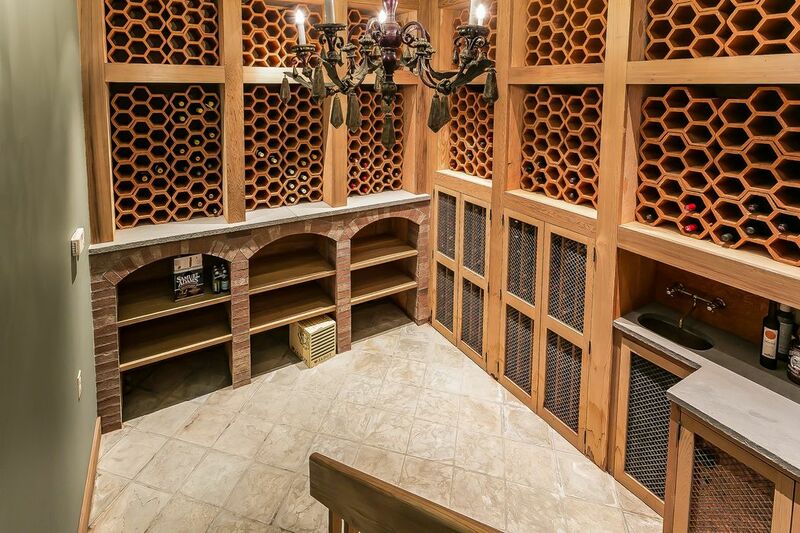 ft.
A sophisticated in town estate on over 4.4 private landscaped acres with a pool, elegant boxwood gardens, a spring fed lake with a fountain and acres of rolling lawn. 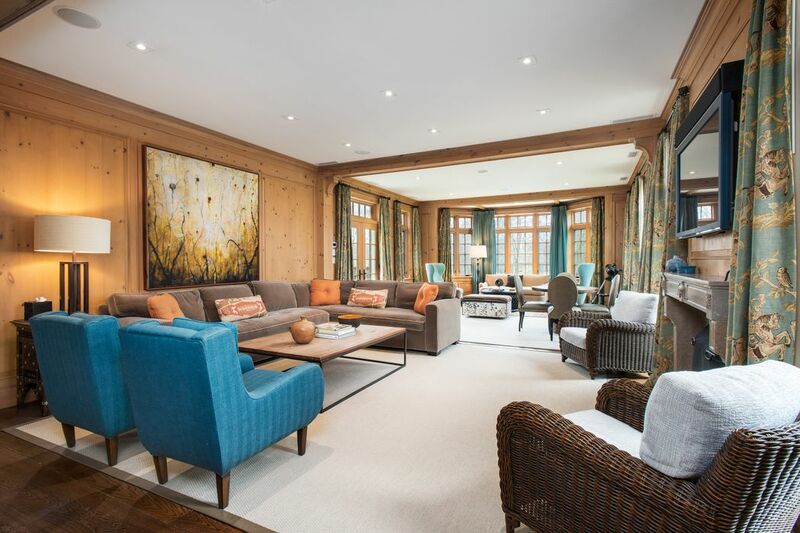 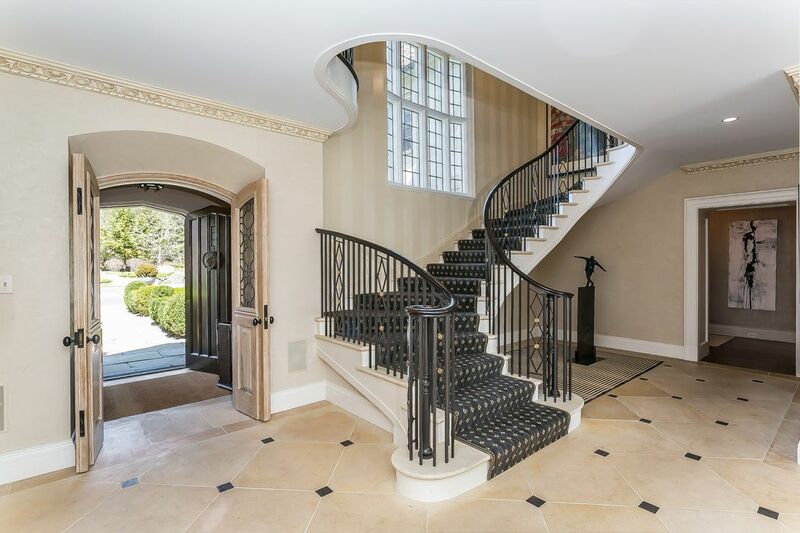 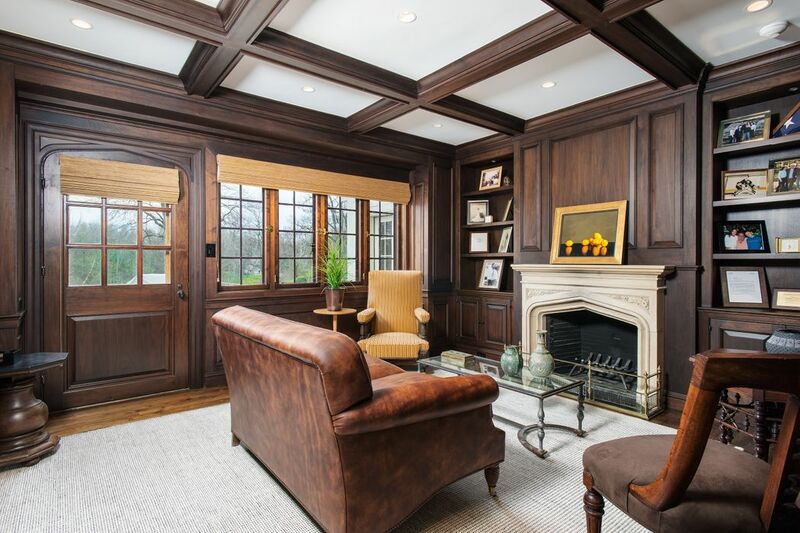 The historic English Manor of stucco, stone and timber has been restored, renovated and expanded by Grandburg & Associates to offer every modern amenity throughout four levels of stylish and sun-filled living space. 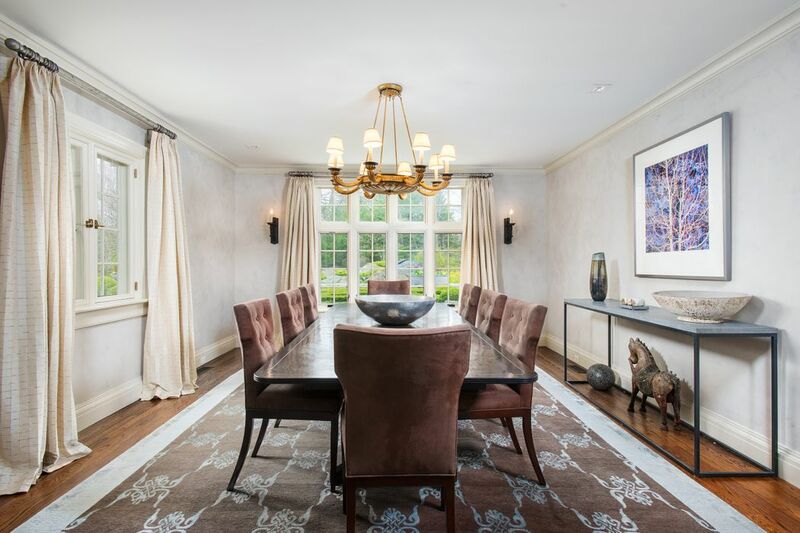 The historic formal rooms marry seamlessly to the dramatic new double island kitchen with separate breakfast room and spacious paneled family room. 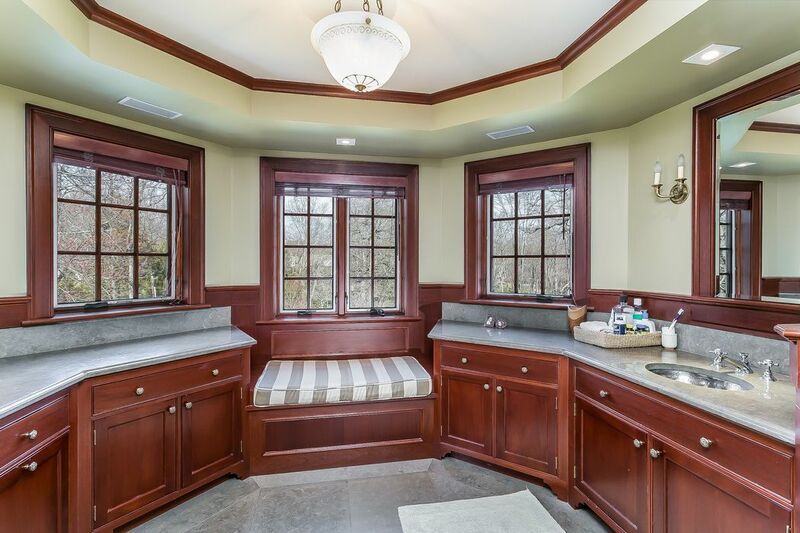 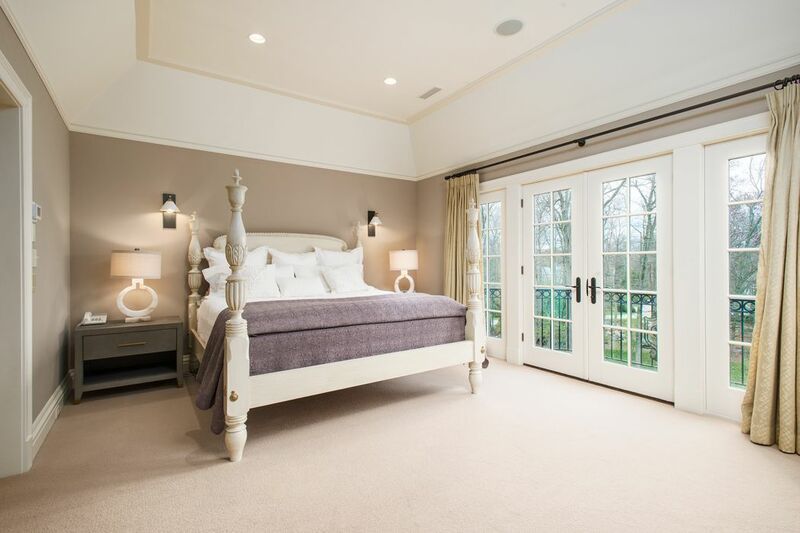 Upstairs, a stunning master suite with a sitting room, two luxurious bathrooms and two dressing rooms. 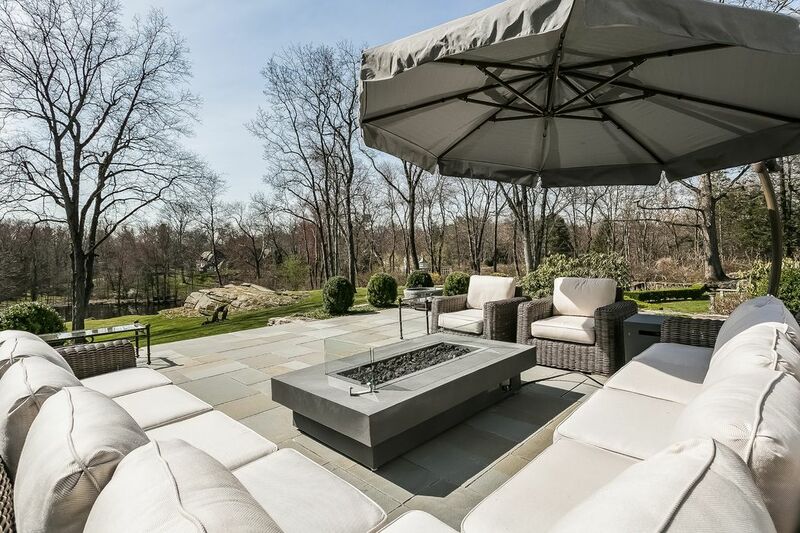 The rear of the house faces south and opens to an expansive entertaining terrace and the pool enclosure both overlook the sweeping lawn and sparkling lake. 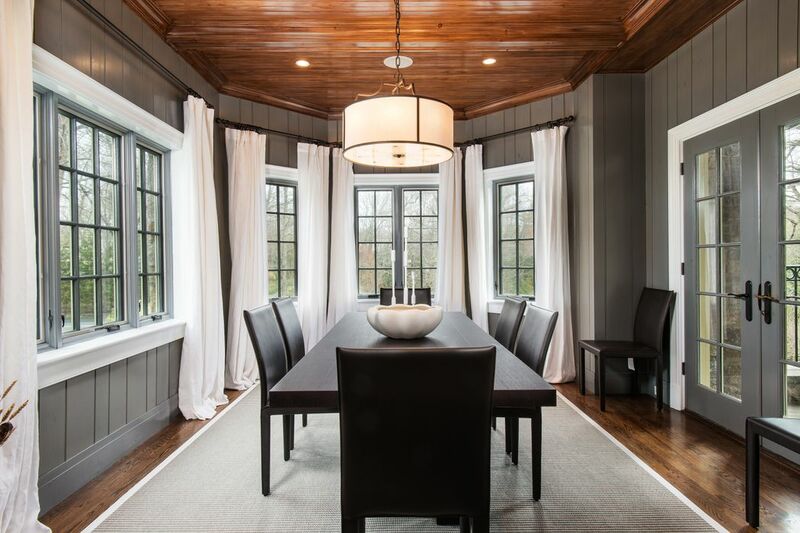 The new floor plan offers the best of old and new, ideal for both formal and casual entertaining. 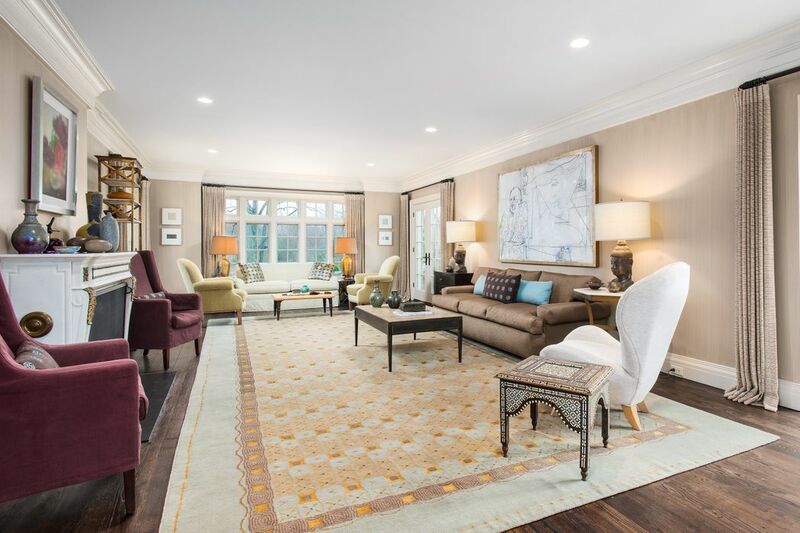 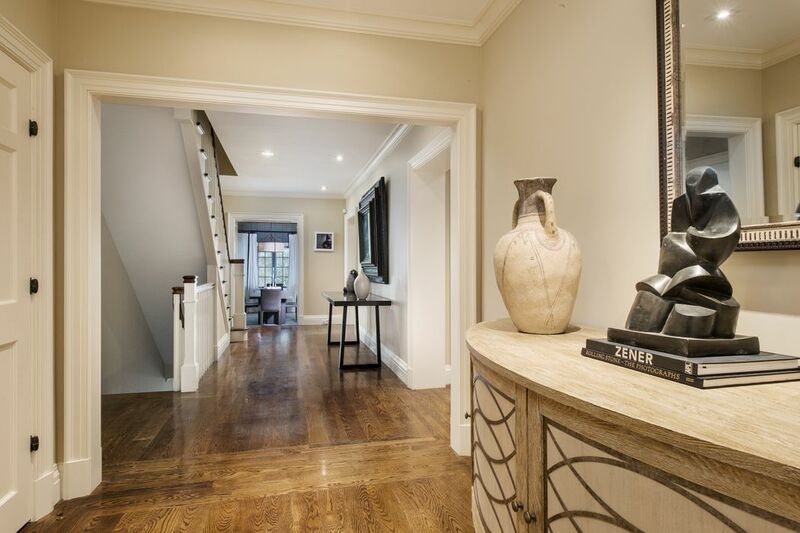 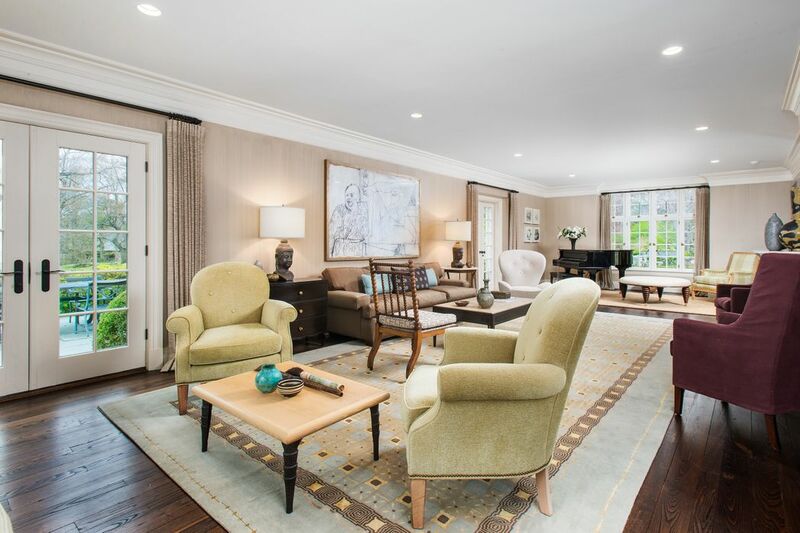 A rare opportunity to have a private retreat just minutes to Greenwich Avenue.